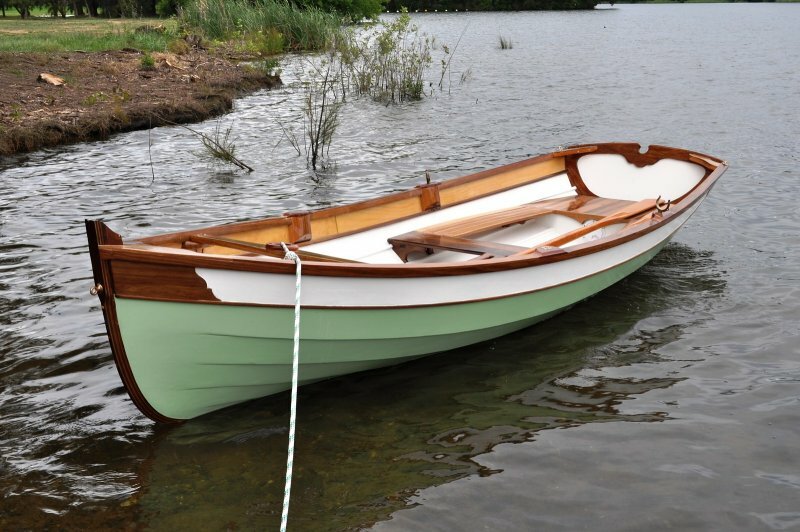 We launched our Penobscot 14 after Just under two years build time. All plywood is Hoop Pine. The stem, stringers, transom, and thwarts are all Tasmanian Blackwood, with the rest a mix of other Australian hardwoods. Launched in Canberra and it rows like a dream.